The biggest challenge for the students “choose best computer courses after 12th”, because computer industry is vast. So They are worried and confused about career after completing 12th. How do I choose computer courses for me. 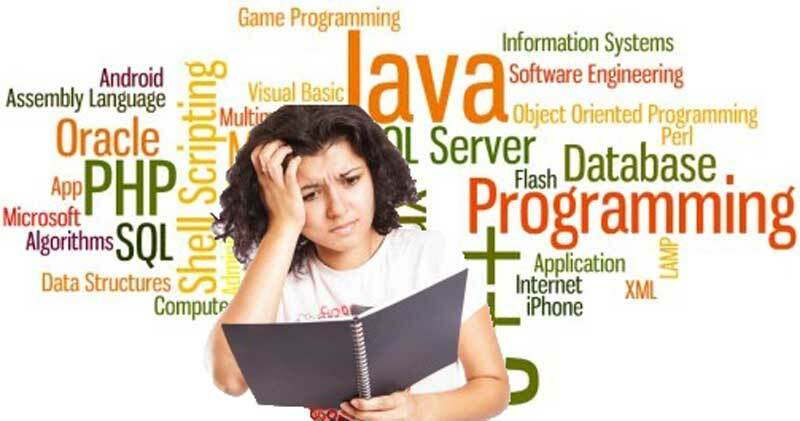 what are the career of possibilities after completing computer course. Why students are confused about career in IT sector? As you know computer sector is very vast and it has lot of the division, subdivision and branches the examples are digital marketing, ethical hacking, graphic designing, animation, programming etc. students don’t know what is right course for them. Not only this They are getting career counseling from the nearby people, even it doesn’t matter those person are related this field or not. 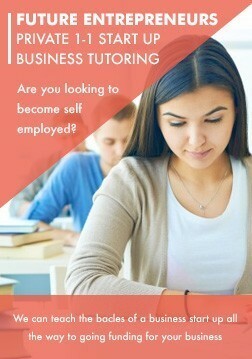 if they do not belong with the IT sector then how they can help you in choosing right course. Yes of course they can’t. Counseling himself: When they see someone who have completed xyz computer course and have good salary right now, Thus students select xyz course for themselves. But this selection is not proved good in their life. First student should know about course, its features, career growth related course etc. Why should you join computer Courses after 12th? Very important question related your career “why should you join computer courses after 12th?’. 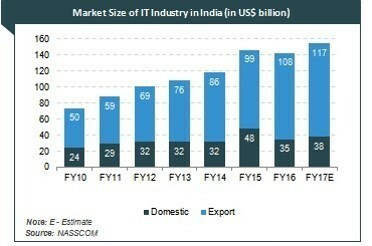 IT industry has extremely growth in India, It is worth $117 billion in 2017. So you have chances to grow your career in IT industry. 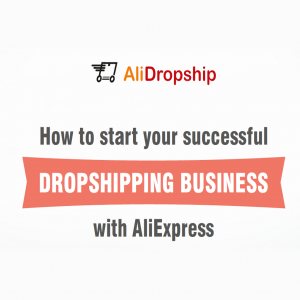 After completing a computer course you will grab those opportunity. 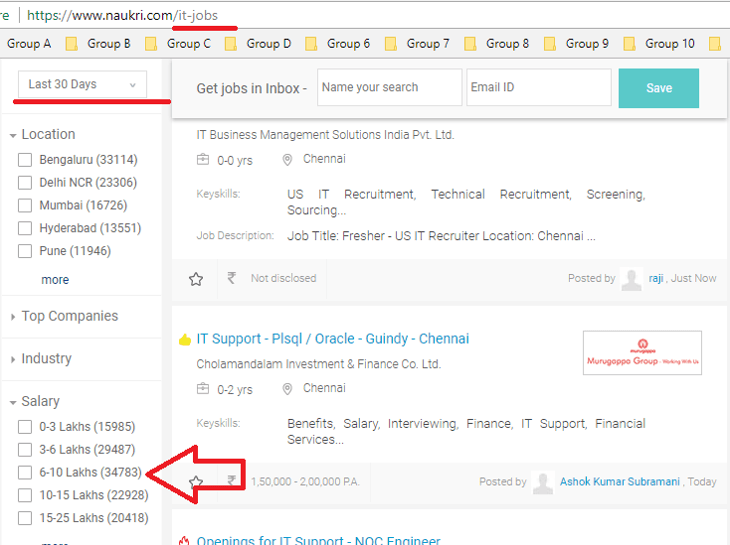 Total 123,601 IT jobs were posted on Naukri.com in November 2017. 20,486 jobs were highly paying jobs (15-25 Lakhs/annum). Common paying scale 3-10 lakhs/annum. So Computer course is best option for you after completing 12th/BA/B.Sc./B.Tech./other. 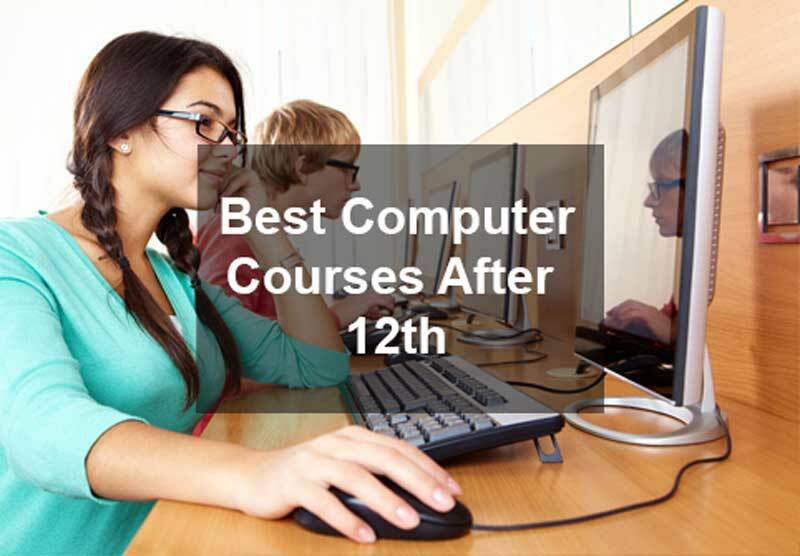 What are best computer courses after 12th? Website Development – PHP and MYSQL, .net, java scripting etc. Digital marketing – SEO, SEM, SMM Google Analytic etc. Ethical Hacking – Cyber Security, Penetration Testing, Network Security Web security etc. How do I choose best computer course for me? As you know, many computer courses are available in the marketing for example: Administration, Programming, Website designing and development, android app development, Networking, digital marketing, ethical hacking etc. Finding best computer course is not easy. I suggest choose course as per your interest requirement. 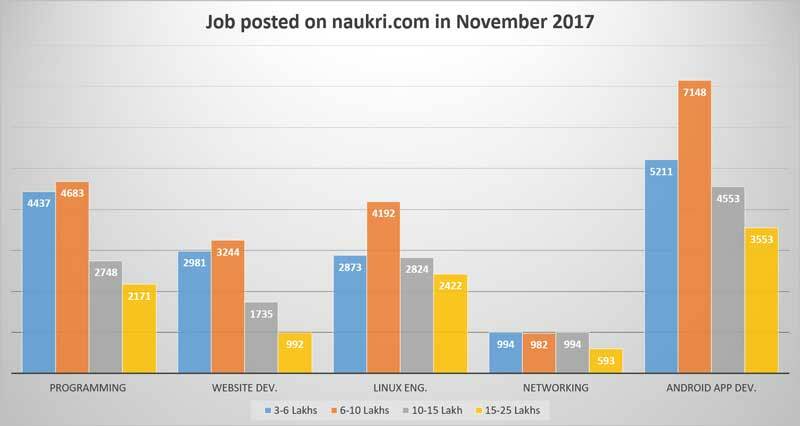 I am posting here job data related different jobs and salary in November 2017 according naukri.com.